Peterborough’s The Voice stars, Classical Reflection, Naomi and Hannah Moxon have released their debut album, The Vow. The album has a beautiful mix of 10 tracks including the wonderfully haunting, “Wishing You Were Somehow Here Again” from Phantom of the Opera and “Nella Fantasia” from their blind audition on The Voice. The album also includes the long awaited emotional track “The Living Years” featuring The Voice finalist Emanuel Nwamadi who the girls performed the track with during the battle stages of the competition. The song was originally a huge hit for the group Mike and the Mechanics. 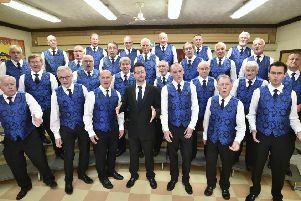 The album also has two tracks written for them by British composer Christopher Broom, who has just secured a number one Classical single with Britain’s Got Talent finalist Jonathan Antoine, “A New Day Is Dawning” and “Dolce Vento”. The CD album is available either via their website - www.classicalreflection.co.uk - or at The Peterborough Tourist Information Centre, in Bridge Street (tel 01733 452336), where copies are available for just £9.99, or to download visit either iTunes or Amazon sites. This year promises to be a good one for the classical twins with highlights including a performance at the highly acclaimed Proms at Blickling Hall, Norfolk. where they will share the stage with number one album Brit Award winners, Blake .